A. The Charles M. Bailey Public Library is a lifelong learning center serving Winthrop and surrounding communities and offering diverse resources for people of all ages. The Library collection is uncensored and made available in accordance with the principles of intellectual freedom. 6. Lend to other libraries upon request through the contracted van delivery service, giving consideration to the priority of Bailey members. 7. Adhere to the American Library Association (ALA) Code of Ethics; a copy of which is included at the end of this policy manual (Annexure A). A. The Library may provide materials in any format to meet its objectives. B. All materials except those in demand or reserved for reference, or which cannot be replaced, will be loaned for home use according to the Access and Circulation policies. C. Materials that are no longer useful will be systematically weeded from the collection according to accepted professional practices. A. The Board of Trustees will assure library building facilities are adequate to meet the physical needs of modern, patron-focused library service. B.  The Board of Trustees will recommend the expansion and modification of the physical plant and/or facilities only after a plan has been adopted and the librarian or a consulting librarian has written an outline of the community’s library building needs. A. The Library welcomes gifts of materials with the understanding that upon receipt all such materials become property of the Library. A donor may impose no conditions on gifts of materials. The Library accepts donations of items with the understanding that they will be added to the collection only if appropriate and needed. The same criteria of selection which are applied to regularly purchased materials are also applied to donations. If donations do not meet this criterion, they may be sold or otherwise disposed of. Textbooks, encyclopedias, magazines, and damaged or worn items will not be accepted. The Library is not able to establish the value of gift material for tax or other purposes. B. Gifts of money to purchase library materials or to support programs or services are also welcome. Monetary donations will be deposited into an account designated by the Board of Trustees. C.	The Board of Trustees will approve fundraising activities and methods undertaken on behalf of the Library. A. Each trustee and staff member represents the Library in every public contact. Good service supports good public relations. B. The Trustees will approve all press releases, advertisements, fliers, notices, and other information explaining and/or representing the Library or its programs before release. The trustees may delegate said function to the Library Director. C.	The Library reserves the right to use photographs or film taken at Library sponsored programs and events for publicity purposes in a variety of formats. It is presumed that patron’s consent to the Library’s use of these photos or videos unless they specifically inform staff of an objection when the photos or videos are being taken. A. Programs: All Library programs including but not limited to story hours, music hours, lectures, workshops, etc. are available free of charge and open to the public. Preregistration, particularly for large groups, may be required if space and service are limited. B.	Suspension/stop: The Library reserves the right to place stops on borrowers’ cards (withhold borrowing privileges) for any abuse of library materials and/or services, including but not limited to lost or damaged materials and/or excessive tardiness in returning library items. C.	Behavior: Children under the age of eight may not be left unattended in any area of the Library. They must be closely supervised by a caregiver over the age of twelve who is able to attend to the child’s safety and behavior. The staff of the Library does not accept custodial responsibility for unattended children, nor does staff assume liability for unattended children. Eating and drinking is not permitted at the children’s public computer terminals. Parents are responsible and liable for their children’s actions regarding any vandalism to Library property. Shouting, running, and verbal or physical harassment of anyone in the Library or on library premises will result in the expulsion and/or short or long-term exclusion of the offending person from the Library. 1. Give a verbal warning to the disruptive patron, indicating that their behavior is bothering others and is unacceptable. Ask the patron to stop their behavior. 2. If the patron refuses to stop the disruptive behavior, library staff will tell the patron to leave the library premises. 3. If the user’s disruptive behavior continues and the user refuses to leave the library premises, library staff will call the police. Library staff will document all instances of disruptive behavior. Any time a staff member feels that a user’s behavior is threatening to the immediate safety of other patrons or staff members, the staff member will call the police immediately. Repeated instances of disruptive behavior by a library user will result in a suspension of library privileges, including reentry to the building and grounds, for a length of time determined by the Director. D.	Maine Human Rights Act Compliance: Library trustees and staff are dedicated to making every good faith effort possible for complete accessibility, including for those with special needs. Staff will be available, with advance notice to carry library materials to any person who cannot reach them, or to a patron’s vehicle. A handicap restroom is available on the lower floor of the Library and will be made available upon request. Elevator access to the lower floor facilities is accessible via a series of two lifts within the Library. Staff will assist patrons needing handicap access to the lower level. The Library permits service animals to accompany their owners in all areas of the Library open to other patrons. Assistance animals (emotional support/therapy/companion), as defined by the Maine Human Rights Act of 2016, are not allowed in the Library. The care or supervision of a service animal is the responsibility of his or her owner. Every effort possible will be made to provide program access to those with special needs, upon notification that someone with those needs will be attending. The Teen Area of the Library is designated on the west side of the Locashio Adult Wing, and will be reserved for individuals age 13-19 for after school space between the hours of 2:00pm – 6:00pm, Monday through Thursday. •	Nonresidents not meeting the requirements of Section VIII, A.
C.	Juveniles must have a parental or legal guardian’s signature on the application. If a parent or guardian is present, his/her ID may be used. Responsibility for the choice of material for minors rests with their parents or guardians. Selection of materials for the library collection is not restricted by the possibility that minors may obtain materials that parents consider inappropriate, nor are children limited to the children’s collection. D.	Lost or stolen cards must be immediately reported and invalidated. No new card will be issued until the old card or cards are cleared of any obligations, including materials checked out. Lost cards will be replaced and charged according to Appendix C, Membership, and Fees. E.	Identification: The Library must verify the name, address, email (if available), and phone number of each person who asks for a library card. Acceptable identification forms are listed in Appendix C, Membership, and Fees. F.	Ineligible: Patrons who owe money for lost or damaged items to other Minerva libraries are not eligible for membership at the Library. A. Loan periods for library materials are as follows: All items have a 14-day loan period, with two (2) renewals allowed. Items on reserve may not be renewed. Staff may issue teacher cards to teachers at Winthrop Public Schools. All in-house items borrowed for the classroom on teacher cards may be checked out for one month at a time, as long as no holds exist. Items borrowed from Minerva libraries on teacher cards must still follow the rules set forth by the lending library. B.	Non-circulating items: Reference items, reference copies, and any items marked non-circulating do not circulate. C.	Renewal: Items requested or reserved by another member may not be renewed. Materials on loan through inter-library loan follow the rules set forth by the lending library. All other items may be renewed two times. D.	Inter-library loan: Members are allowed up to fifteen (15) holds at one time through the Minerva system. No fees are assessed for this service. For items not available through the Minerva system, $5 will be paid by the borrower to cover shipping. E.	Library disclaimer of responsibility for damages: Borrowers take out materials at their own risk. The Library will not assume responsibility for damage. F.	Lost/Missing/Damaged Materials: Members are responsible for replacement costs of missing and damaged materials. G.	Refunds: If a member finds a missing item within thirty (30) days of paying for it, s/he may present the item, along with the receipt, for reimbursement. Refunds will not be issued outside of this thirty day window. H.	Replaced item: Once an item becomes sixty (60) days overdue, the librarian will make a decision on replacement of the item. Refunds will not be issued after an item is replaced even if the item is replaced with a different item. The reason for this is that the librarian may decide to order a more recent edition of a book, or another item which will be more current, useful or interesting to members than the exact item lost or destroyed. I. Confidentiality: Member records must be kept completely confidential; the library staff and volunteers will not disclose any information about members in library records to anyone, in accordance with state law. Requests by officials and others for member information will be referred to the Director. J. Grievance: Members who are unhappy with any matter pertaining to material selection or rejection, library policies, or library procedures must first voice their grievances to the Director. If these grievances are not resolved by the Director, members may submit their cases in writing to the Board of Trustees, who will make the final decision regarding such grievances. 1) Any individual wishing to pursue a complaint must file their objection in writing to the Chair of the Board of Trustees. 2)	The Chair shall appoint a committee composed of the following persons to review the complaint: two Board members, Director, and one staff. 3)	The review committee shall review the material in its entirety, the available professional reviews of the material and any additional available information concerning the material; the committee shall then meet to discuss the complaint and the materials and make a recommendation based on its procedures and objectives used in the initial material selection process. 4)	The review committee shall meet with the complainant, if requested by the complainant, and review the challenge. 5)	The review committee shall make a recommendation to the Board to be voted on by the Board; the Board shall then inform the complainant of its decision. 6)	No material shall be removed from use until the Board has made a final decision. A. Statement: The Library provides open access to the Internet as an integral part of the Library’s mission statement. The Internet is a worldwide computer network that provides easy access to an enormous and growing body of information. The resources available on the Internet expand the Library’s information services well beyond traditional collections and electronic resources. In providing community access to the Internet, the Charles M. Bailey Public Library enhances its existing collection in size and depth, and provides the opportunity for any citizen to utilize the exciting resources on the Internet. B. Intellectual Freedom/Right to Privacy: The same standards of intellectual freedom, privacy and confidentiality endorsed by the Charles M. Bailey Public Library for traditional resources and services also apply to electronic media, including use of the Internet. The Library has a policy of open access to all parts of its collections, including access to the Internet, and use is not restricted by age. Supervision is the responsibility of parents, guardians or caregivers. Use is not prioritized by information need because everyone’s information need is important to him or her, and it is not restricted by residency. However, remote access to some electronic databases is restricted by membership or is available in-house only. C.	Access to Inappropriate Material: It is the policy of the Library to: (a) prevent user access over its computer network to, or transmission of, inappropriate material via Internet, electronic mail, or other forms of direct electronic communications; (b) prevent unauthorized access and other unlawful online activity; (c) prevent unauthorized online disclosure, use, or dissemination of personal identification information of minors; and (d) comply with the Children’s Internet Protection Act [Pub. L. No. 106-554 and 47 USC 254(h)]. Computers in the children’s wing are for use by children age 14 and younger, except for parents and guardians accompanying children. Computers in the adult wing are for use by individuals age 17 and older, except for children accompanying a parent or guardian. Computers in the teen area are for use by individuals age 13-19. Workstations should remain quiet areas and are designed for use by one person at a time. D.	Information Disclaimer: The Internet offers open access to information, ideas and commentary from around the world and a vast array of tools and resources for different age levels and points of view. However, not all sources on the Internet provide information that is accurate, complete, current or legal. The Charles M. Bailey Public Library does not endorse the viewpoints or vouch for the accuracy of information obtained through the Internet. The Library does not monitor and has no control over the information accessed through the Internet and cannot be held responsible for its content. Most definitely, some resources and destinations contain material that some members will find personally offensive or inappropriate for children. The Library, through its participation in the Digital Maine Library, can and does recommend interesting and useful destinations and resources for our customers to explore. These sites, indexed by subject area or source of information, can be found through the Library’s website. E.	Children and Teens: As with all library materials, parents, guardians and caregivers are responsible for their children’s use of the Internet. Library staff does not control the websites that children and teens may select on the Internet. Parents/guardians are strongly encouraged to work with their children to develop acceptable family rules of Internet use. F.	Inappropriate Network Usage: To the extent practical, steps shall be taken to promote the safety and security of users of the Library online computer network when using electronic mail, chat rooms, instant messaging, and other forms of direct electronic communications. G.	Education and Supervision: It shall be the responsibility of all members of the library staff to educate and supervise appropriate usage of the online computer network and access to the Internet in accordance with this policy, the Children’s Internet Protection Act, the Neighborhood Children’s Internet Protection Act, and the Protecting Children in the 21st Century Act. Procedures for the disabling or otherwise modifying any technology protection measures shall be the responsibility of the Adult Services staff. H.	Printing: The Library provides 10 free pages of printing and photocopying for tax forms, school assignments and job searches only. Otherwise, the cost is $.15 per page for black and white and $.50 per page for color when available. Wireless devices cannot connect to any of the Library’s printers. I.	Downloading: Patrons may download information from the Internet to their own data storage device, or to their own email accounts. Users should not expect library staff to make copies for them, nor to know the specifics of how particular email accounts work. Under no circumstances may a user download or save anything to the hard drive of any library workstation or to a network drive unless specifically designated. The Library assumes no responsibility for damage to data storage devices, or non-library computers that may result from downloading files from the Internet. J. Use of workstations: The Library recognizes that group work can be a valuable learning experience. However, if a group creates a disturbance to the effective use of the Library by others, they will be asked to correct their behaviors, disband, and/or leave the building, as appropriate. In general, workstations are designed for use by one person at a time. Although some Internet workstations may be scheduled in advance, the workstations are available on a first-come basis. Time on the Internet is limited to 60 minutes in the adult wing and 30 minutes in the children’s wing and teen area when others are waiting. Wireless users or patrons needing space to study that are over 14 years of age and are unaccompanied by a child or children must use the adult wing, or teen area as applicable. K.	Projection equipment is available for library programs only. This equipment may be borrowed by local nonprofit (501c) organizations at the behest of the Library Director (e.g. local Chamber of Commerce, Historical Society, and Town departments). If desired, requests and arrangements must be made at least seven days prior to the event and are subject to availability. Staff is not available to assist outside groups in operating projection equipment. A. Purpose: Volunteers at the Charles M. Bailey Public Library supplement the efforts of paid library staff to provide quality library collections, services and programs. Volunteering at the Library serves as a method for area residents to become familiar with the Library and creates opportunities for individuals to feel personal satisfaction while performing a valuable service for the community. B. Definition: A volunteer is a person who performs tasks for the Charles M. Bailey Public Library without wages, benefits, or compensation (including travel expenses) of any kind. C. Ethics: Service volunteers are recognized by the public as representatives of the Library and shall be guided by the same work and behavior codes as employees. Service volunteers serve at will and may be terminated at the discretion of the Director and/or the Board of Trustees. D. Insurance: The Library does not provide workers compensation coverage for volunteers. Volunteers are covered under the terms and conditions of the Town and Library liability insurance. Only volunteers’ own auto coverage will cover auto claims. E. Service volunteers who work on a regular basis or at the library building will fill out volunteer information registration forms that will be kept on file at the Library. Minor children may only work as volunteers with the consent of a parent or legal guardian. At its discretion, the Board of Trustees may authorize a criminal background check for any person who volunteers at the Library. To meet the objectives of the Library as a community resource center, the Library offers bulletin board display space as space permits. First preference is given to the promotion and display of library events. Posting of notices does not imply endorsement by the Library. Exhibits from sources within the community may be allowed in the Library. All exhibits considered for space within the Library must support the mission of the Library and not cause disruption of the regular flow of library work and service. Set up and removal is the responsibility of the exhibitor. The Library assumes no liability for damage or loss relating to any exhibit for public viewing in the Library, and will take no extraordinary measures to ensure its safety. Current days and hours open to serve the public: Monday-Wednesday 10-6; Thursday 3-8; and Friday/Saturday 10-3. Decisions to close the Library during inclement weather will be made by the Library Director or the Chairperson of the Board of Trustees in the Director’s absence. If a scheduled closing falls on a Sunday the Library will be closed on the Monday immediately following. For items still in print and available for purchase, list price will be charged. Baker and Taylor or some other objective source will be consulted to determine cost. Library discounts are not applied to the value of library items, since processing materials and labor must be taken into consideration. For items not in print, reasonable replacement costs will be charged for similar materials. Institution: Application must be on official letterhead stationery and must state specifically those individuals to whom borrowing privileges may be extended. The institution in whose name the borrower’s card is issued will be responsible for lost or damaged materials. Failure to adhere to library rules will cause forfeiture of borrowing privileges, and stops will be placed against institutions in a manner similar to that of individual users. Institutional borrowers’ cards remain on file at the Library. Letters of application must be retained as well. 1. Borrowers will be notified of overdue materials in a timely manner. A bill for the lost materials will follow if the materials are not returned. 2. Members who have lost items or have not returned materials within thirty (30) days of the due date shall be charged the list (retail) price for the materials, or in the event the material is no longer available through normal channels (i.e. a book no longer is in print) the Director will determine a reasonable replacement charge. 3. A suspension will be placed on a borrower’s card for unpaid lost items, or when overdue fine accrual exceeds $10. 4. A charge will be determined for any damage to library lending materials. This charge shall not exceed the cost of replacing the materials and shall be based on the cost of supplies and labor for repair. A processing fee will also be charged on all damaged materials that can no longer be circulated. 5. Refer to section IX CIRCULATION for policy on refunds. 6. The Library acts as an intermediary for borrowers in requesting the loan of materials from other libraries. These transactions are referred to as inter-library loans. All fines or fees charged by the lending library will be paid by the borrower. Additionally, $5 for items not available through the Library’s van delivery service will be paid by the borrower to cover shipping. 5. The Library provides 10 free pages of printing and photocopying for tax forms, school assignments, and job searches only. Otherwise, the cost is $.15 per page for black and white and $.50 per page for color when available. Printing fees are due at the time of printing. •	Rooms may be booked by anyone 18 or older. •	Meeting room capacity not to exceed 55. •	Event room capacity not to exceed 200. The primary uses of the rooms are for Library and Town sponsored programs that fit the following purposes: 1.) Cultural and arts events; 2.) Programs which celebrate ethnic diversity and promote inter-cultural communication; or 3.) Educational programs, lectures, workshops and seminars. Other organizations and individuals may apply to use the rooms for other purposes; however, in order to assure availability for the primary uses, no application may be granted more than 30 days in advance. Staff and the Board of Trustees will monitor the schedule for frequent use by the same groups of individuals. Permission to use meeting rooms is revocable and does not constitute a lease, nor does it imply that the Library endorses the aims, policies, views or activities of the group, organization or business using the room. Anyone using the Library’s meeting rooms must abide by the terms of this policy. All juvenile groups must have adequate adult supervision. Organizations or individuals that wish to hold an event may make an application in writing to the Director (or designee). Allocation of the facilities will be approved, conditionally approved, or rejected by the Board of Trustees at their next regularly scheduled meeting from the time of application. Board meetings are held on the second Monday of each month at 6:00pm. The Director may approve one-time facility use requests for exempt organizations. Availability of the rooms is generally limited to the Library’s operating hours (see Appendix A). Additional fees for overtime staffing (if available) will be assessed for requests outside operating hours. Commercial (revenue): Defined as any type of commercial event where admission is charged, donations accepted, sales made, or other income derived. Commercial (non revenue): Defined as any type of commercial event where no admission is charged or donation accepted, nor any sales made, nor other income derived. Non-profit (revenue): Defined as any 501(c) organization or activities sponsored by such groups where admission is charged, donations accepted, sales made, or other income derived. Non-profit (non revenue): Defined as any 501(c) organization or activities sponsored by such groups where no admission is charged or donation accepted, nor any sales made, nor other income derived. Exempt: Defined as any Library sponsored event, Winthrop Public Library Foundation event, Friends of the Library event, 501(c) organization located in or doing business in the Town of Winthrop (and not classified as non-profit revenue), and the governments, departments, agencies, and committees of the Town of Winthrop. The Library does not offer hourly fees for the event or meeting room. A janitorial fee will be charged if the room is not left in the same condition it was when the renter took occupancy as determined by the Director. A staff overtime fee will be charged for events or meeting taking place outside normal library operating hours. The renter shall be liable for any damages to the building or to any contents owned by the Library or Town of Winthrop during the period of use. •	Equipment in the STEAM Corner is not currently available for use by or lending to the general public. The main purpose of the STEAM Corner equipment is to enhance the Library’s partnership with Winthrop Public Schools and Winthrop based Homeschoolers. •	All Winthrop Public School teachers and Winthrop based Homeschoolers may schedule time in the King Event Room to use Makerspace equipment, with the assistance of the Youth Program Coordinator. Use is limited by room and/or staff availability. •	Some equipment may require training. Teachers and Homeschoolers should schedule time with the Youth Program Coordinator to become familiar with the equipment. •	Teachers at the Winthrop Public Schools may borrow equipment for classroom use. Homeschoolers must use the equipment in the King Event Room only. Library staff will keep a record of equipment loaned out. •	Library programs scheduled in the King Event Room take priority when scheduling class or homeschool programs with the Makerspace equipment. •	If Makerspace equipment is found to be damaged or missing when returned to the Library, the Library may bill the Winthrop Public Schools for replacement cost. •	No food or drinks are allowed in the King Event Room during Makerspace programs. •	Teachers and school administrators should be made aware of this policy before borrowing equipment or scheduling time to use the equipment. The Library has established social media sites to inform library users about library programs, events, and materials, and to encourage dialogue and the exchange of information and knowledge between users and library staff. The Library’s social media sites are not intended to be traditional public forums for the general exchange of ideas and viewpoints, but a limited forum for discussing library programs, events and materials. All postings related to the Library’s mission statement (as so determined by library staff in their sole discretion) are permitted. The public should have no expectation of privacy in postings on library social media sites, and by utilizing these sites, users consent to the Library’s right to access, monitor and read any postings on library run social media sites. The Library’s social media sites may be considered public records under Maine Public Records laws. Postings which the Library in its sole discretion, deems unpermitted under this policy, may be removed in whole or in part by the Library upon discovery by the Library without prior notice. The Library reserves the right to ban or block users who have posted in violation of this policy on more than one occasion. IV. We respect intellectual property rights and advocate balance between the interests of information users and rights holders. V. We treat coworkers and other colleagues with respect, fairness, and good faith, and advocate conditions of employment that safeguard the rights and welfare of all employees of our institutions. VII. We distinguish between our personal convictions and professional duties and do not allow our personal beliefs to interfere with fair representation of the aims of our institutions or the provision of access to their information resources. VIII. We strive for excellence in the profession by maintaining and enhancing our own knowledge and skills, by encouraging the professional development of coworkers, and by fostering the aspirations of potential members of the profession. 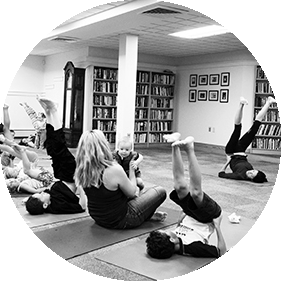 Objective: The Bailey Public Library is committed to serving the informational, educational and cultural needs of all individuals in the community. The Library serves all people within the community regardless of age, race, or political views. Furthermore, the Library does not exclude items that are biased, partisan, or which may offend the tastes of some citizens, unless these items are below our general accepted standards of selection. No employee may be disciplined or dismissed for the selection or rejection of library materials when judgment is made in good faith and in accordance with the written policy. Suggestions from patrons are welcome and will be considered using the same criteria as all other selections. The Library supports the guidelines set forth by the American Library Association in its Library Bill of Rights, Freedom to Read Statement, and Freedom to View Statement and they are included in this policy. Due to the limitations of space and budget, and the mass number of publications available, the library must have a selection policy that is aligned with community interest and needs. The collection development policy is to be used by library staff in the selection of purchases and donations, and will serve to acquaint the public with the principles of selection. Patrons are invited to request the purchase of specific items by the Library. The ultimate responsibility for the selection of library materials rests with the library Director and such members of staff who are qualified by reasons of education, training, and experience. Both the Trustees and Director have the authority to reject or select any item. 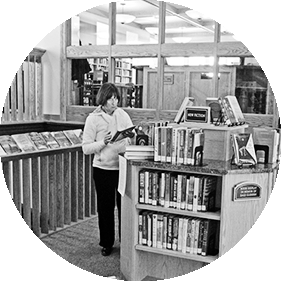 The primary sources of reviews for the Bailey Public Library include (but are not limited to) Library Journal, Booklist and Horn Book. The lack of review or an unfavorable review is not reason enough for rejecting a title. Patron demand and local media for example, may override consideration of items. The Library does not purchase out-of-print materials. Textbooks may be added to the collection only if they provide the best, or only source of information on a subject, or to complement an existing area with another perspective. Audio-visual material is added to the collection with consideration to patron demand and budget constraints. The Library acquires this material primarily in DVD format. Audiobooks are also added to the collection with consideration to patron demand and budget constraints. The Library acquires this material primarily in CD format. Children’s materials are purchased by the same general principles that govern the selection of adult materials. The Library accepts donations of items with the understanding that they will be added to the collection only if appropriate and needed. The same criteria of selection, which are applied to regularly purchased materials, are applied to donations. If donations do not meet these criteria, they may be sold or otherwise disposed of. Textbooks, outdated encyclopedias, magazines, and damaged or worn items will not be accepted. The Library continually withdraws items from the collection, basing its policy on the elimination of outdated materials, materials no longer of interest or in demand, unneeded duplicates, and worn or mutilated material. Frequency of circulation, community interest, and availability of newer or more valid materials are prime considerations. Items dealing with local history are an exception, as are certain classics and award-winning children’s books. Fiction that was once popular but no longer in demand, and non-fiction books that are no longer useful, are withdrawn from the collection. Full, confidential, and unrestricted access to information is essential for patrons to exercise their rights as citizens. The Library believes that reading, listening, and viewing are individual, private matters. While anyone is free to select or reject materials for themselves or their own minor children, the freedom of others to read or inquire is not restricted by staff or community. Responsibility for the choice of material for minors rests with their parents or guardians. Selection of materials for the library collection is not restricted by the possibility that minors may obtain materials that their parents consider inappropriate, nor are children limited to the children’s collection. Selection of library materials by the Library does not mean endorsement of the views expressed in those materials.